Adjustable Kettlebells are as safe as fixed kettlebells. Variable Kettlebells are available at an affordable price ! You just need one or two kettlebells and the weight plates and you can replace a complete set of fixed kettlebells ! The principle of the Adjustable Kettlebell is very simple: weight plates are attached to the kettlebell base (weight plates with a hole of 30mm). 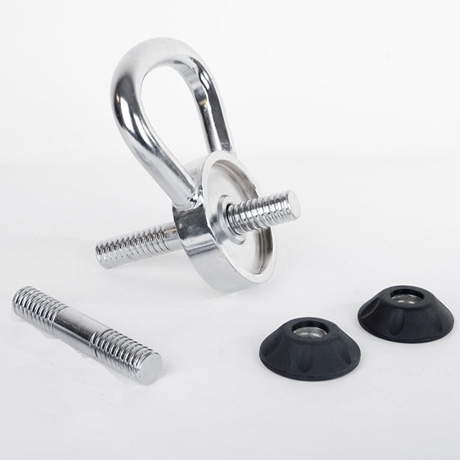 The weight plates are fixed with a screw cap on the kettlebell. Weight plates are NOT included, but can be purchased at Fitness Depot for as little as 68¢ per pound!! !